Kalinga Sena has threatened to throw ink at Shah Rukh Khan’s face and raise black flags when he visits Bhubaneswar next week for the 2018 Men’s Hockey World Cup. They are demanding an apology for his 2001 movie, Asoka. Shah Rukh Khan is one of the most loved and popular actors in India. However, along with his stardom, the actor has been at the receiving end of threats several time. As reported by DNA, the Kalinga Sena wants Shah Rukh Khan to apologise to them for allegedly insulting Odisha and its people in his 2001 film, Asoka. The Sena even filed a complaint with against Khan on November 1 that he portrayed Kalinga war in the film in an incorrect way. 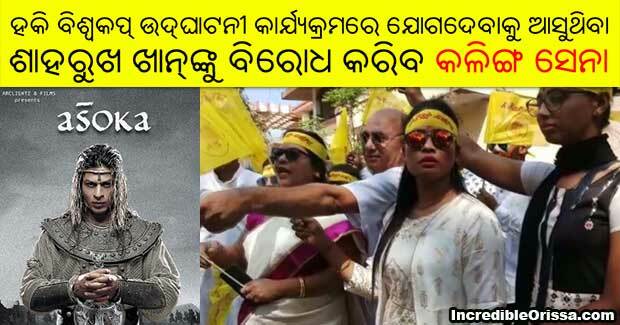 Hemant Rath, the chief of the outfit which calls itself Kalinga Sena, has demanded an apology from Khan for allegedly insulting Odisha and its people in his film Asoka that was made 17 years ago.